Can I change my back-ground of the flip book maker? Dramatically and professionally create stunning flash flipbook from PDF, Office, PPT, Images, DjVu and so on! Can I change my background of the flip book maker? Q: I would like to change my favorite picture as background instead of yours. What should I do in order to change successfully? A: People always feel excited about the fresh thing. When you convert you file into flip book with 3D page turning effect. Otherwise, you might spend much time together with our background of flip book maker or maybe you will be fed up with our background in some days. Based on this situation, it is normal that you will have an idea that you can change the background or not. And our answer is of course you can change the background pictures that you prefer. It will just take you a few steps to settle down this problem. 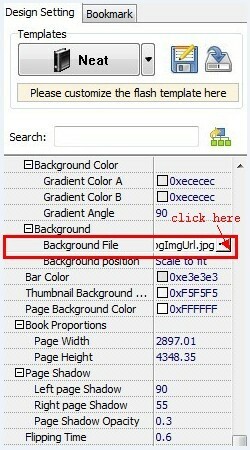 However, your file will not be broken with changing background. Step2: after choosing the picture you prefer, click “Apply change” to check the effect. Then, the page turning book with you like has been converted perfectly. Warn Tips: If you have any changes on your file please do not forget to save. Copyright © 2015 FlipBookMaker Software Co., Ltd. All rights reserved.